I was taking a walk on a sunny September day and I came to an area that had been originally owned by the Bushnell family many years ago, perhaps during the colonial days. This area was filled with over grown brush and thickets, thankfully, it has not been disturbed in many years. 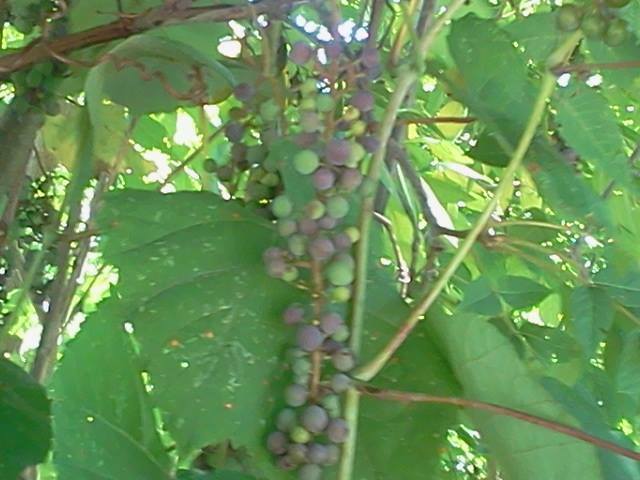 I noticed a grape vine and decided to stroll over and as I got closer, there were clusters of grapes between the grape leaves. 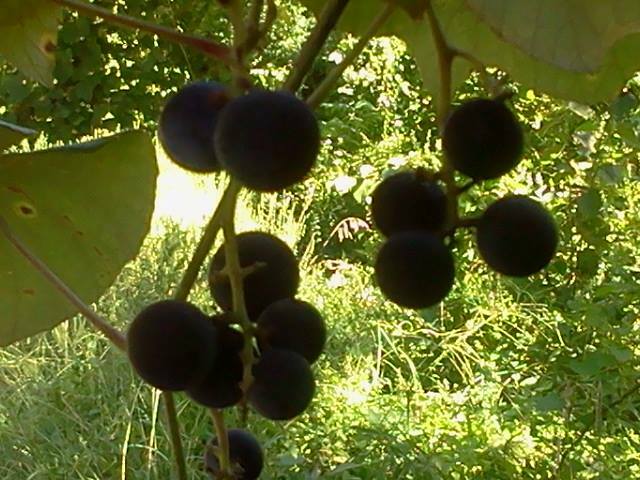 I thought to myself, these must have been the grape vines still here that the Bushnell family planted. 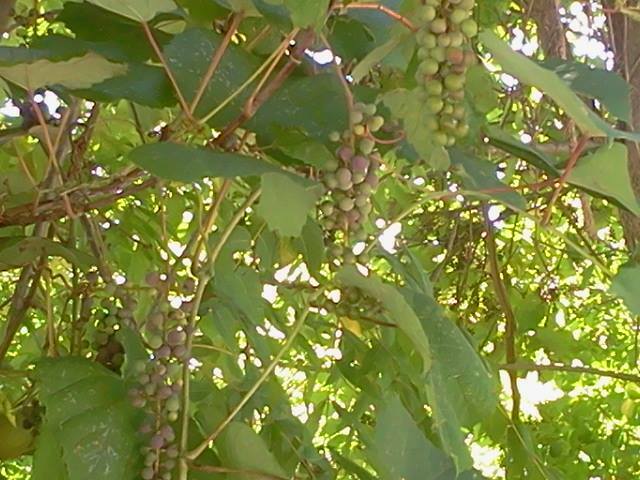 The gentlemen and ladies, with their fans in their hands to cool themselves and delicate umbrellas in their hands to shade themselves from the sun, meandered through what were once vineyards, and enjoyed a glass of wine on their porch, the fruit of their labors.